Boston Bruins: Forward Marcus Johansson missed last night’s game due to an illness. Darren Dreger: Edmonton Oilers forward Connor McDavid has a small tear of his PCL ligament. It doesn’t require surgery and he should be ready for the start of the season. Nashville Predators: Forward Brian Boyle missed yesterdays game with an illness and is day-to-day. Rob Rossi: Pittsburgh Penguins forward Jared McCann is day-to-day. Yesterday was an “encouraging day” according to coach Mike Sullivan. Paul Gackle of The Mercury News: The San Jose Sharks didn’t update Marc-Edouard Vlasic‘s status yesterday. It appeared that he took a shot off the side of his head. Aaron Portzline: The Columbus Blues Jackets signed defenseman Vladislav Gavrikov to a two-year entry-level deal. 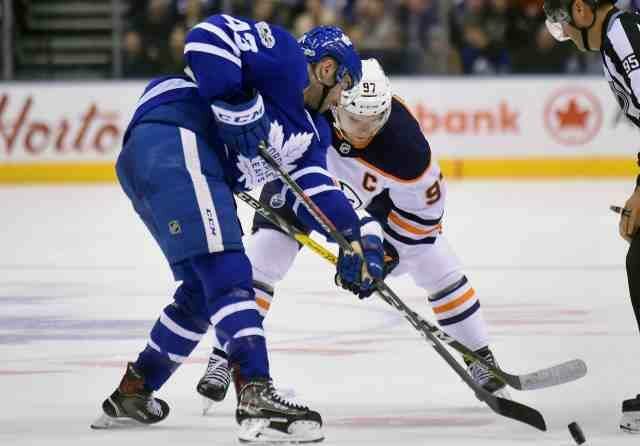 NHL Player Safety: Toronto Maple Leafs forward Nazem Kadri has been offered an in-person hearing for his cross-check on Boston Bruins forward Jake DeBrusk. Nikita Kucherov received a one-game suspension for his hit on Markus Nutivaara.